This is a special designed key puller. Similar to ABS double shot technology, the inside orange material is ABS plastic and the black is a soft, rubbery material made of TPR. It's equipped with 301 stainless steel wire and is easy and convenience for operation. 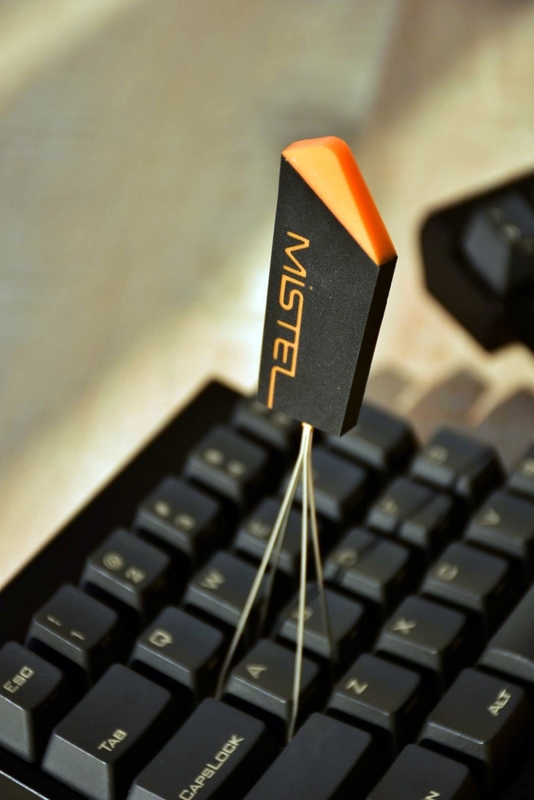 Mistel doesn't only care about the quality but also have focus on product design.